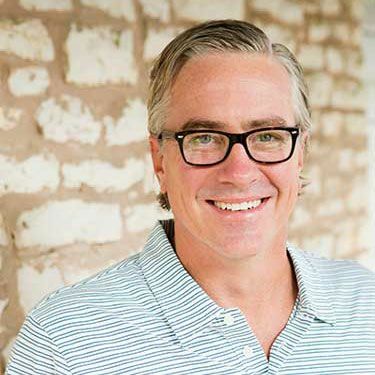 Dr. Ty Davidson is a native Texan and long time Austinite who cares about helping people with the best possible solutions for their dental health to complement their overall wellbeing. Ty graduated from Baylor University in 1988 with a Bachelor of Science degree in Education and then headed to Dallas to Baylor Dental School, Doctorate of Dental Surgery, graduating in 1993. He landed in Austin soon thereafter, and has been here ever since. Starting his career with Dr. Bert Tate, Ty quickly built his own dedicated group of patients, moving on to open his own practice at his current location on 34th Street in 1997. With a passion for music, food, sports, travel and the local culture Ty is an enthusiastic supporter and provider for the Health Alliance for Austin Musicians and Donated Dental Services. When not tending to his patients, Ty spends his time with family: son Nate, twin daughters Stella and Ruby and wife Sam.